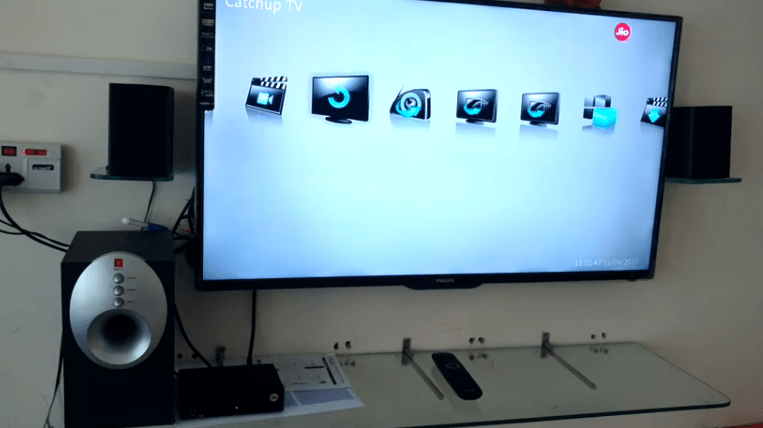 Reliance Jio DTH service has been in the news for a long time now, and recently, some real life images of the product have surfaced online, which gave us a glimpse of how the product looks. And now, a YouTuber has posted a complete review of the product highlighting some of the product features. The STB used in the video is the same as the one which was leaked two weeks ago. The Jio STB is just another DTH service with no fancy features. Yes, you heard it right, the Jio STB is not an IPTV based one. It just serves as any other set-top box available in the market. Also, it doesn’t come bundled with online content such as Netflix, YouTube, etc. The YouTuber claims that Jio is testing the service for now and it has only 150 satellite channels which also includes some HD channels. The Jio STB also comes with RJ45 port along with two USB ports – one on the front and the other on the back. Users can connect the STB to their TV via HDMI port. It also comes with a feature called ‘Catch Up TV,’ which was also rumoured in early stages. Essentially, the Catch-Up feature allows you to track the shows that were aired in the past one week and that’s a handy feature. Also, you can schedule recordings not to miss your favourite TV shows or movies. However, he claims that you require a minimum of 64GB pen drive or hard disk to record the shows, which is somewhat annoying. You can watch the entire video by clicking here. Furthermore, the STB comes with a parental control mode, which means that you can lock a particular channel not to allow your children to watch the content. Also, the user claims that Jio is not allowing to mark favourite channels, which is a necessary feature. 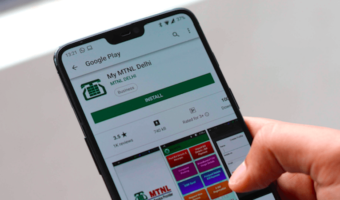 But, Jio did not include the feature on its STB. Moreover, the user in the video says that the quality of HD channels is quite good compared to other operators, but the non-HD channel quality is not that great, he further adds. So, Jio upcoming STB channel doesn’t have any path breaking features as everyone expected. Airtel yesterday launched the Airtel Internet TV, which has way too many features in it and going by the video, the Jio DTH service doesn’t look like a threat to Airtel Internet TV. In today’s world we don’t watch television from dth services only there is a service known as IPTV, in 2015 Jio through its subsidiary of Reliance Jio Media has already procured a pan-India multi-system operator (MSO) licence from the Ministry of Information & Broadcasting (MIB). A MSO is a cable operator who receives programming services from a broadcaster and transmits them for simultaneous reception either to multiple subscribers directly or through one or more local cable operators (LCOs).Reliance Jio intends to use its fibre-to-the-home (FTTH) connectivity to offer a host of services to its prospective customers, including IP TV service. when did Jio get satellite TV licence?